Your payment options shouldn’t be limited. Don’t allow only PayPal and Visa or a credit card. There are people without these payment options and you are losing customers like that. Allowing other options can increase the number of users who come to your website because now they can buy from you. You should also make your checkout process really simple and seamless. 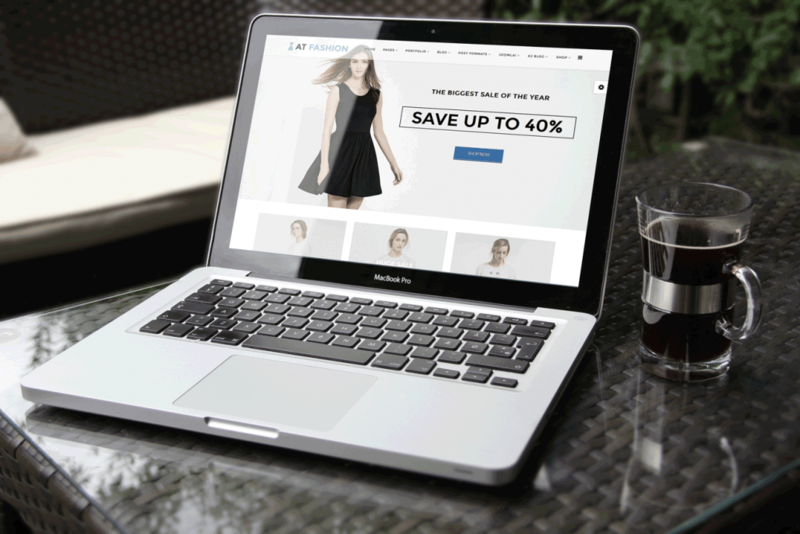 Good Joomla store web design may not seem so essential but it’s definitely one of the most important things when it comes to your online store. You don’t need a mega-design packed with features but you do have to have a web design that looks modern and functional. You have to keep your customers in mind as well if you want them to shop from you. The design might not match your taste but it needs to suit your audience and their taste. A good online store should have a clear and simple design with attractive visuals and should be relevant to the audience. If web design is something you have issues with, you can use Smartaddons templates with your paGO commerce which can give you precisely the design that you need. “People will always have questions and concerns so you should definitely invest in a good live chat option, a chatbot or a comment box. This will help your visitors get their answers quickly and this will lead to a faster purchase,” says Lora Franklin, an e-commerce marketer at Australianhelp and Oxessays. This is one of the most important things about your Joomla store site, especially because there is so much money involved with your website. A lack of security is a serious issue and could lear hackers straight to your customers, which is never good. Mobile shopping is more and more common, growing stronger each day. If your site is not optimized for the mobile, you might end up with fewer sales. You even risk losing your customers if you don’t have a website that’s fully optimized for mobile devices. This is now essential for success. So, make sure that your website is fully available to your mobile users and that everything in there matches the visitor’s needs when they come to your website. Place everything in the context of their behavior on your website on mobile devices. If you are not really good at coding, you should choose a responsive template which can be configured to adapt to any device and it can seriously boost customer experience. For content that’s optimized for mobile, use Stateofwriting and Bigassignments. – Via writing and Studydemic are SEO copywriting tools that can help you develop a great SEO copy. – Academized is there to help you generate keywords, meta tags, and similar important details. – Academ advisor and Paperfellows are online content editing and proofreading tools which help people develop accurate and optimized content. Your website should be optimized for conversions. Without this, you could have millions of visitors to your website and still not convert very well. Even if everything else on your site is optimized well, without this there is no point. For one, you need to optimize your website for speed. Customers are much more likely to leave your site if the load time is longer than 4 seconds. Google page speed insights can let you know how you perform currently and allow you to know if you should change something. You should also have clear CTAs which are phrases that you can put in headlines, buttons, and links to provoke a reaction from your audience. This is supposed to make them buy, sign up and so on. Your website should also be easy to navigate – everything should be familiar and simple to use. Mistakes are easy to make in building a perfect store that will result in many conversions. However, over time, you should learn to fix them. Let this be your guide through some of the rookie mistakes that you can easily avoid. Make sure that you follow all of the rules for avoiding them. Freddie Tubbs is a tech writer at UK Writings. He regularly attends tech and marketing events, and writes columns for Boom Essays and Essay Roo blogs. This entry was posted in E-Commerce, Joomla and tagged joomla store on February 11, 2019 by Michael Pignataro.